Today, Silver Spring Networks connects more homes, businesses and communities than any other smart technology provider. Our multi-application network platform lays the foundation for a brilliant and interconnected smart grid and smart city through proven, standards-based solutions that are secure, flexible and reliable. And tomorrow? The real brilliance begins as today’s solutions scale to the needs of critical infrastructure everywhere and deliver the cost savings, safety and sustainability that progress demands. At Silver Spring, we’re connecting what’s critical for cities and utilities to turn vision into reality and delivering the intelligence to power a brilliant future. Offering practical planning and support to begin transforming into a true smart enterprise. Innovating and leveraging software on top of our unified network to solve the problems cities and utilities face. 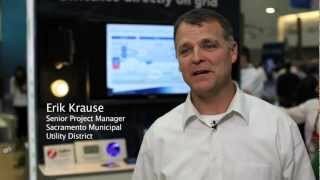 Delivering solutions that add value and efficiency to cities and utilities through a vibrant partner ecosystem. Providing technical support and smart grid maintenance as you manage the day-to-day business. Analyzing what levels of support are best for your city or utility. Developing critical network software ready to function with many kinds of hardware. Silver Spring is widely acknowledged as the pioneer in bringing standards-based networking to the utility industry, and we're bringing the same focus to the smart city space. Our experience and achievements in driving standards are unmatched. Gen5 represents our fifth generation network technology that leverages open standards. Pioneering the use of IPv6 as a networking protocol for the smart grid and the Internet of Things —from the back office to the endpoint. Leading governance of Wi-SUN, including positions on the Board of Directors, the Field Area Networking (FAN) working group and the PHY Working Group. Driving standard web services and software to simplify application integration. Standardizing in-home device communications, including leadership 2030.5 protocol development. Defining interoperability testing and certification frameworks to ensure standards compliance and interoperability. Formed OpenSG, a forum for adapting IP to meet smart grid networking requirements. Led the development of IEEE 802.15.4g for mesh communications. The value of Silver Spring’s standards-based platform. Read our Smart Grid Standards whitepaper to learn more about the current state of smart networking standards and our work promoting standards within the industry.